I've been thinking a lot about these babies, these twins. I have heard so many different things since I found out I was pregnant with twins. "Wow, your hands are going to be full!" ""Oh my gosh, that's crazy!" And then there are these comments, that aren't made TO me, but they are made around me. "I'm so glad I don't have twins"
"I am praying I don't ever have twins"
"I was so glad there weren't twins in there"
I have to say, people just don't filter well, their words. And when it comes to your children, you are just oober protective, right?! I have had twins for 7 1/2 months now and I carried them for 8 1/2 months. 1) I am blessed beyond belief. Not that I wouldn't be blessed with one baby at a time, but I really do feel an extra special blessing with these boys. 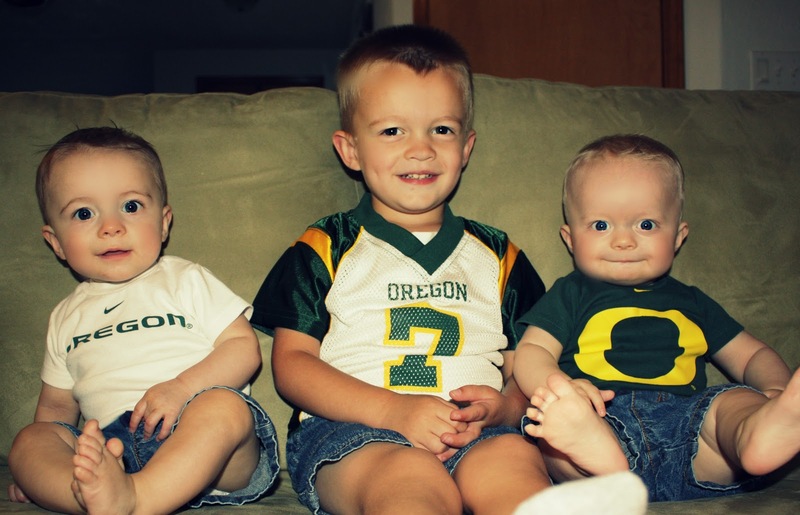 2) They are incredibly different little boys. Not only do they look totally different, but they act totally different too. Do you know how stinking cool that is?! To watch babies, the same exact age, from the same womb be so different. It is utterly fascinating and ridiculously enjoyable. 3) Yes, my hands are full. But they would have been full no matter what. Kids are a handful, and we always said 3-5 kids...so YES it's a lot to deal with at once, but my hands were destined to be full. 5) I don't get much of a break during my day. But again, I wouldn't if I had 3 singletons, or 4 or 5. That's my choice as a Mommy. I wanted nothing else than to be a Mommy, and I knew that this is what it would look like. Yes, I get out for a coffee date, or to the bookstore alone (my hubby is wonderful about giving me time) But in my day to day, the quiet moments are rare. Did I expect anything else? No. I wouldn't change it for anything. I am called to this. 6) I don't remember much of those first 3 months. This makes for a blurry memory. And I am glad I took the advice from other twin mama's and took tons of pictures. I look at them weekly. But the days are going fast now, and they are growing quickly and I am savoring each moment. 7) I never in my life thought I would have 3 boys. Never. Now, you couldn't convince me that any other way is how it should have been. I cannot wait to have a house full of smelly high school boys, straight from sports practice, hungry. A house full of loud boys, eating me out of the cupboards. I want this house to be "the house" where they are all welcome with all their buddies. I cannot wait to be that Mom in the stands cheering on her boys! 8) I love my husband now more than ever before, and when we are home, all 5 of us, we work so well together. We make an amazing team and things just flow, it's beautiful. 9) I am so proud of Jack. 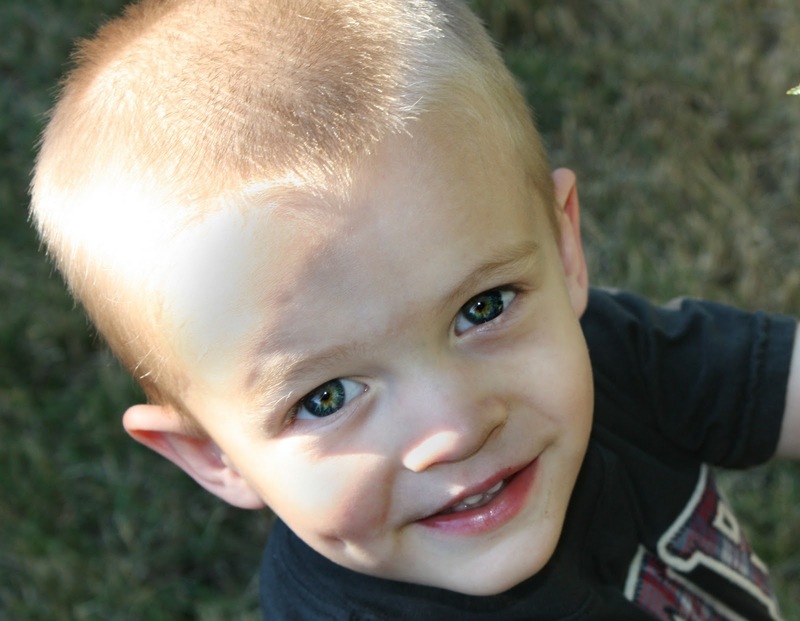 It has been tough, and he will be adjusting for awhile, but he is an incredible little boy. So thankful he is my firstborn. 10) When I lost that baby, I was devastated. When I found out I was pregnant with twins, everything was made clear. HE knew better than I did. 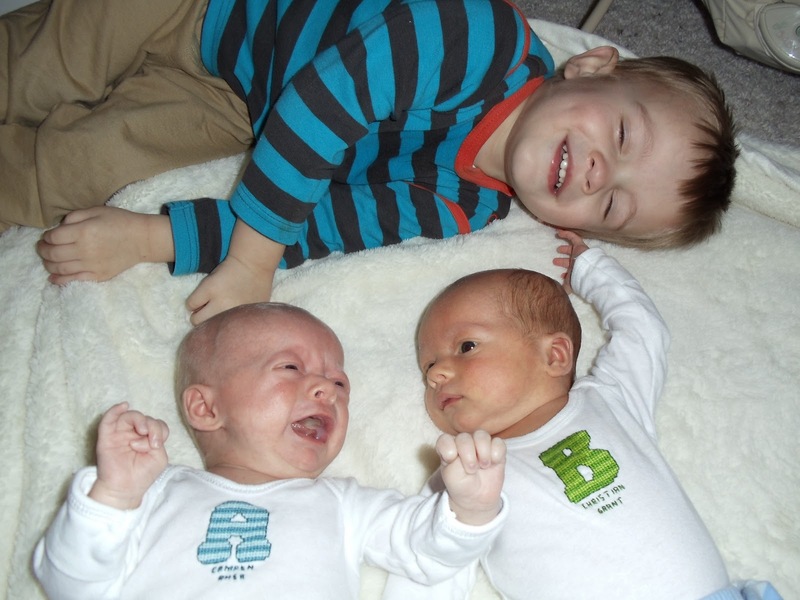 To imagine life without these little boys....I just can't do it. I am so grateful that He chose to bless me through that loss. Just stopping by to say hi. I'm also approved by the twin multiples club. I totally agree with your recent post:) Nobody quite understands until you've been there. Your twins are too adorable. This was such an inspiring post! It's so true that people simply don't filter their words. With me being pregnant again and having gotten pregnant with a 7 month old at home... people have said some pretty shocking things. But at the end of the day, we all are living our own lives! I love how refreshingly honest you are. You don't pretend that life is easy, but you are positive and thankful throughout it all! You are a sweet inspiration of a momma! Just wait until you have another one...the comments can be even worst. I actually had someone ask me if I was insane to have another one after the twins. I love reading your posts, you are a true inspiration and your boys are just adorable. 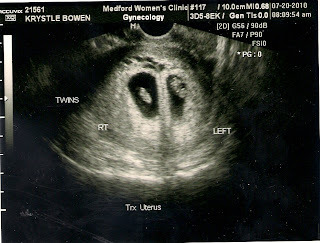 i prayed that i would have twins! i'm still holding out hope for one day. : ) i know you are so incredibly blessed!!! I love your comment about wanting a house full of hungry boys who invite all their friends over! I totally dream of that too (except with girls...but maybe boys too someday!). Also, people will always have something negative to say about situations that aren't "the norm". Heck, I even got comments for having two babies in two years. People can just mind their own business. And people who make those comments are obviously not kid people. people will ALWAYS say something...I have 2 kids 5 years apart and I actually has someone say when I was pregnant with Wilson, 'You're having another already? '...really, because 5 years apart is just like a baby machine! my friend with 5 kids has lots of wonderful things to say to the rude comments of having her hands full...her favorite is, "well, my husband is just so hot that I can't keep my hand off of him, and this is the result!" I just got one of those comments about an hour ago when I was at the pediatrician's office with both babies. "Twins? Better you than me." "You got that right. Bless your heart." Just stopping by from multiples and more. 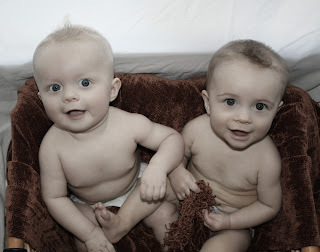 I have 2 month old twin boys and although it can be a little crazy I absolutely love it! I couldn't imagine my life without these two. i loved your post! I love this! I had my first two kids 19 months apart and my twins were born when their older brother was 14 months old and I can agree with everything you said (except the looking different and the boy stuff- I have ID girls) I don't have a single moment to myself most days and hear any number of those comments almost daily, but I wouldn't have it any other way!! My twins were an incredible blessing from the Lord!